Celeb Gossip News – Glass age rating: How old do you have to be to watch Glass? Glass age rating: How old do you have to be to watch Glass? Glass sees the familiar faces of M Night Shamylan’s Unbreakable and Split movies return for the threequel. Though it has been 19 years since Unbreakable was first released, fan fervour for the trilogy has not waned. However, reviews have not been favourable for the third film in the series, with a Rotten Tomatoes score of 39 percent. How old do you have to be to watch Glass? 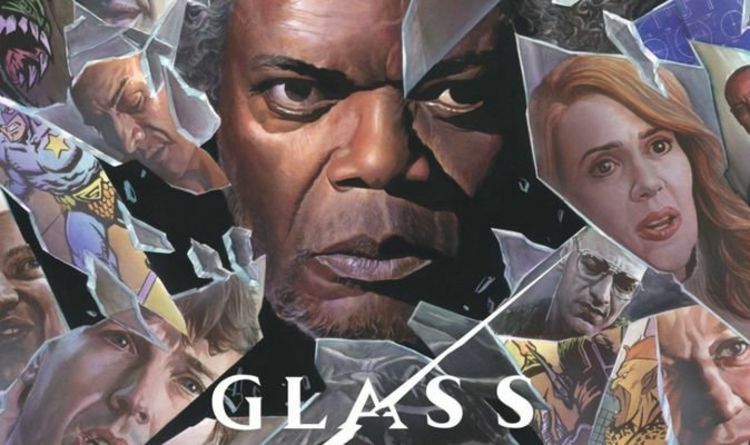 According to the British Board of Film Classification, Glass has a rating of 15. The BBFC says: “No one younger than 15 may see a 15 film in a cinema. For Glass, the BBFC sights violence as its main reason behind the 15 rating. BUMBLEBEE AGE RATING: HOW OLD DO YOU HAVE TO BE TO WATCH BUMBLEBEE? For a 15 rating, the BBFC writes: “Violence may be strong but should not dwell on the infliction of pain or injury. “The strongest gory images are unlikely to be acceptable. Strong sadistic violence is also unlikely to be acceptable. In Glass, the violence reference states: “A man being crushed by a figure with apparent super-strength, who breaks his spine. CREED 2 AGE RATING: HOW OLD DO YOU HAVE TO BE TO WATCH CREED II? “There are also shootings and heavy blows delivered with metal poles. There is implied cannibalism. “Violent incidents result in bloodshed and images of bloody injury in their aftermath. “There is moderate threat throughout, including scenes in which abducted young women are held prisoner and menaced by their captor. THE GRINCH AGE RATING: HOW OLD DO YOU HAVE TO BE TO WATCH THE GRINCH? The plot for Glass reads: “M. Night Shyamalan brings together the narratives of two of his standout originals—2000’s Unbreakable, from Touchstone, and 2016’s Split, from Universal—in one explosive, all-new comic-book thriller: Glass. “From Unbreakable, Bruce Willis returns as David Dunn as does Samuel L. Jackson as Elijah Price, known also by his pseudonym Mr Glass. “Joining from Split are James McAvoy, reprising his role as Kevin Wendell Crumb and the multiple identities who reside within, and Anya Taylor-Joy as Casey Cooke, the only captive to survive an encounter with The Beast. “Following the conclusion of Split, Glass finds Dunn pursuing Crumb’s superhuman figure of The Beast in a series of escalating encounters. Glass is out in cinemas on Friday, January 18, 2019.